← You’re Not a Trash Can. Lose It For Good! 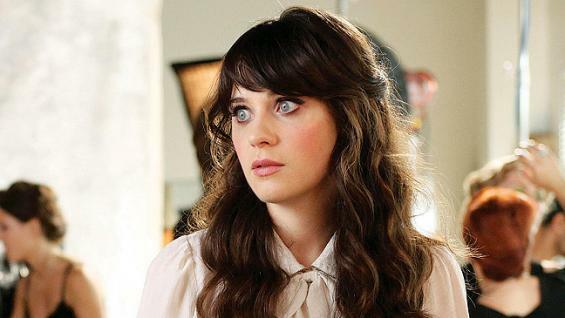 Yep, I’m Jess From New Girl. I have always been a rather…. strange person. I am perfectly content just chilling at home with my husband. We don’t have any kids yet, (I say ‘yet’ because he wants five of them. I then start coughing, and suggest three.) and so its quite easy for me to just have a quiet date night whenever our schedules allow. This brings me to the topic of THE BOX. I have a beautiful little box I have created for myself. It’s wonderfully comfortable, with lava lamps, and hippies who dance under the moon. In fact, it’s spacious enough for a couple of cool cats to join me on occasion. Somehow, by the grace of God, I have found myself out of that lovely box lately. A couple of days ago, I would’ve said, “I am a singer, and have not found any way to sing in over two years!” and then it donned on me. My best friend Amanda helped me to learn this by starting her own store. She’s passionate about simple, minimalist living and believes it can be applied to every aspect of ones’ life. So what did she do? She quit her office job. She decided that the idea that we work our entire lives at a job we hate is ludicrous and she chose to be fearless. She dedicated her life to helping others, and created http://www.tshirtsntwine.com. (Check out her site, her craft is incredible!) I have never seen her happier and more full of life since she did this. Why don’t we all do this? Because we get caught up in the lie that says we are powerless. That things just…. happen to us. Sure, we see inspiring people like Amanda and really admire that they had the courage to take a leap of faith, but certainly we could never do the same…. LIES. What are you passionate about? What brings you joy? What have you never dared to do because it’s just too stinkin’ scary? Are you really living if you don’t? This entry was posted in Fitness, Music, Uncategorized and tagged challenges, choices, faith, fear, film, fitness, food, happiness, health, hippie, humor, inspiration, Jess, life, lifestyle, love, minimalist, music, New Girl, relationships, tv, yoga. Bookmark the permalink.